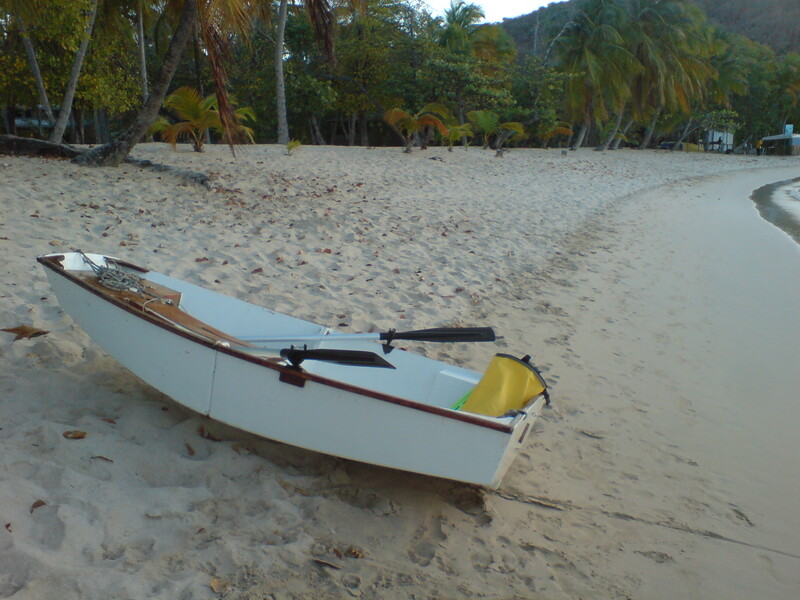 Tobago cays lie some 25 miles south of Bequia, so there is a 5 hour sail to get there. We got under way just before 12, and had a good sail (some rough seawhen the Atlantic came through the channels though…). 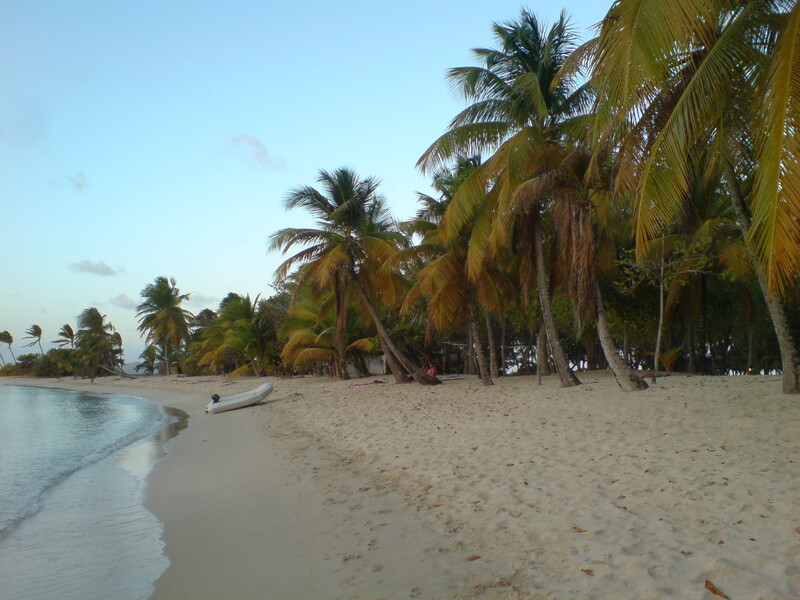 The bay is small and has a beautiful beach, lined with palm trees. There are some bungalows behind the trees, but these are not seen from the water.